Select the QuickBooks that’s right for you. Take care of business anywhere, anytime.14 Try QuickBooks Online today. Boost your workflow with powerful tools. Find everything in one place, including overdue items, bills to pay, and notes from your accountant. 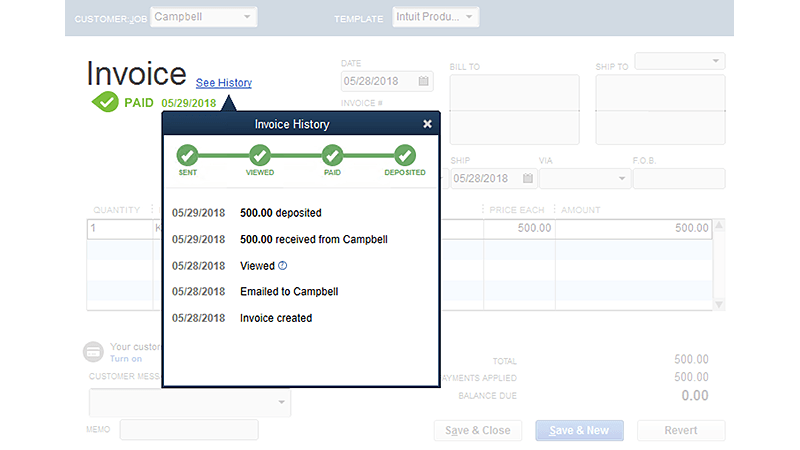 Get real-time visibility of invoice statuses to help expedite collections to stay on top of your cash flow. See how you’re doing in a single click to view profit & loss statements, top customer lists, and more. All the benefits of Pro 2019 with added protection. Get live 24/7 support, plus a priority phone number to QuickBooks experts. Get QuickBooks upgrades throughout the year, when available, so you always have the latest version. New in QuickBooks Desktop Pro 2019. 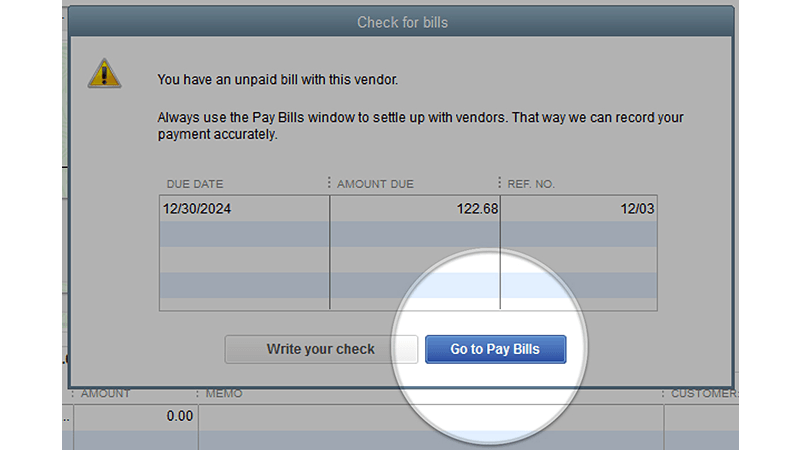 View unpaid bills from a vendor to easily manage payments. See what else you can do and what’s new in the latest version. Can I install QuickBooks Desktop Pro on more than one computer? What’s the difference between Desktop Pro and Premier? Premier has tailor-made reports for specific industries and allows up to 5 users while Pro allows 3.13 Learn more about Premier. What’s the difference in capacity between Pro, Premier and Enterprise? Pro and Premier tracks up to 14,500 items, while Enterprise tracks up to 1 million customers, vendors and items9. Learn about Enterprise. Licenses are available in single-user increments from 1 to 10 users or 30 users. Fees apply. Hours exclude occasional downtime due to system and server maintenance, company events, observed U.S. Holidays and events beyond our control. Without Plus subscription, standalone Annual Care Plan MSRP $299.95. One standalone Intuit Data Backup MSRP $99.95 per year or MSRP $9.95 per month for a-la-carte purchases. Entire PC is limited to 100GB total storage which includes all 45 days of backup you have stored. Data encrypted using AES 256-bit encryption. Requires internet access for backup, restore and setup changes and comes bundled in with QuickBooks Pro Plus, Premier Plus, or Enterprise subscription. Not available to QuickBooks Online users. Not intended as a file transfer, remote access solution for your QuickBooks file. Intuit Data Protect is not intended as a HIPAA solution and its use will not assist with or ensure HIPAA compliance. Hours exclude occasional downtime due to system and server maintenance, company events, observed U.S. Holidays and events beyond our control. Subject to change at any time without notice. Data Recover Service: Coverage begins at the time of enrollment and ends upon cancellation of stated term length + 30 days from cancellation date to be able to recover your backup data. To view, modify or cancel your QuickBooks Desktop Pro or Premier account subscriptions for any reason, login to your Camps Account, or call (888) 729-1996 within 60 days of your dated receipt/purchase confirmation for a full refund of the purchase. QuickBooks Online requires a computer with a supported Internet browser (Chrome 41 or later, Firefox 36 or later, Internet Explorer 10 or later, Safari 6.2 or later) and an Internet connection (a high-speed connection is recommended). The QuickBooks Online mobile app works with iPhone, iPad, and Android phones and tablets. Devices sold separately; data plan required. Not all features are available on the mobile apps and mobile browser. QuickBooks Online mobile access is included with your QuickBooks Online subscription at no additional cost. Data access is subject to cellular/internet provider network availability and occasional downtime due to system and server maintenance and events beyond your control. Product registration required. 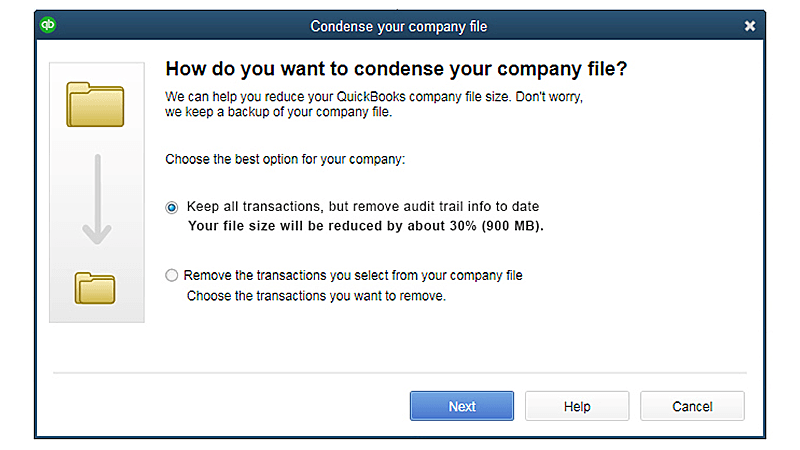 A purchased QuickBooks license allows for more than one company file, but does not support different company files to be opened simultaneously. Only one company file may be open and managed at a time. You may: (a) install the Software on the number of computers equal to the number of user licenses you purchased; (b) access and use the Software solely by the number of specific persons corresponding to the number of user licenses you purchased, with no substitution of such users (for example, if you purchased a 3 user license pack and you have 10 employees in your company, the original 3 specific persons who were initially provided with access to and use of the Software, are the only persons licensed to use the Software unless you purchase additional licenses; (c) place a copy of your software data files on a network for access by licensed users; (d) install the Software on 1 additional computer above the number of the license(s) you purchased, solely to accompany your software data file, and not for use of the Software by another user; and (e) for each user license you purchased, make one copy of the printed materials accompanying the Software, if any, or print one copy of any online user documentation solely for use by licensed users. Notwithstanding (b) above, you may replace a specific user if such user leaves and must be replaced with a new employee. The maximum number of simultaneous users (users accessing the file at the same time) for QuickBooks Pro is three users and Premier Edition is five users. All users must be networked and must each have their own QuickBooks license. QuickBooks Desktop Enterprise allows you to add up to one million names (e.g. customers, vendors, employees) and up to one million items (e.g. inventory, non-inventory, and service items). Some performance degradation is likely as your lists approach these size thresholds. QuickBooks Desktop Enterprise allows you to add up to one million names (e.g., customers, vendors, employees) and up to one million items (e.g., inventory, non-inventory, and service items). Some performance degradation is likely as your lists approach these size thresholds. Transfer data directly from Quicken 2015-2017, QuickBooks 2004-2017 and Microsoft Excel 2010, 2013, 2016 and Office 365. Compatibility: QuickBooks Online works on your PC, Mac, tablets, and phones. Please see for specific requirements: QuickBooks Online works with the following Windows 7 and 8, Mac OS X 10.8 (Mountain Lion), 10.9 (Mavericks), 10.10 (Yosemite), or Chromebooks, Internet connection required (high-speed connection recommended), Supported browsers: Chrome 41 or later, Firefox 36 or later, Internet Explorer 10 or later, Safari 6.2 or later. Also accessible via mobile browsers: Android, Chrome (Android and iOS) and Safari. File size reduced by Data File Optimization feature reduces file size by removing audit trail of historic transactions and a few tables from the database that are not used or needed by the company file. 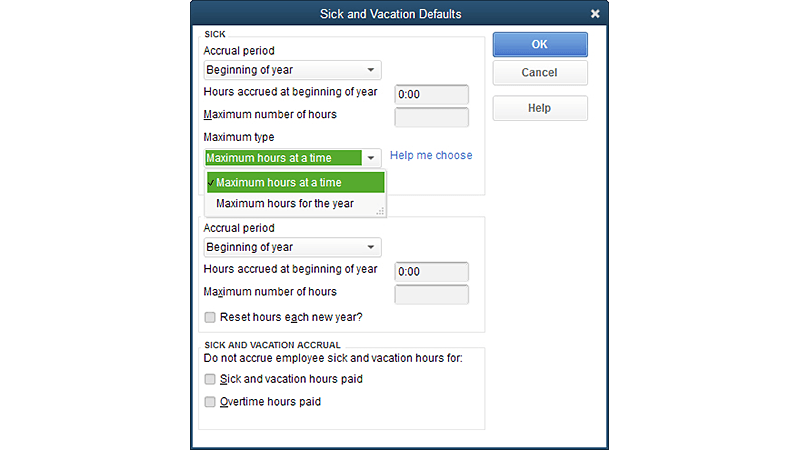 Sick and vacation accrual requirements vary state by state; customer is responsible for ensuring compliance with applicable laws and regulations. Available In Basic, Enhanced and Assisted Payroll Editions. For the first year, receive the stated discounted price off the current subscription fee for the add-on you’ve selected. In addition to the discounted service fee, during your first year subscription, your account will automatically be billed each month depending on the per employee fee. Starting from the second year, your account will automatically be charged at the then current subscription fee and per employee fee on an annual and/or monthly basis for the service you have selected, until you cancel. You can call 800-624-2106 to cancel your subscription. Offer valid for a limited time only and is available to new Intuit QuickBooks Enhanced Payroll subscribers only and cannot be combined with any other Intuit Payroll offer. 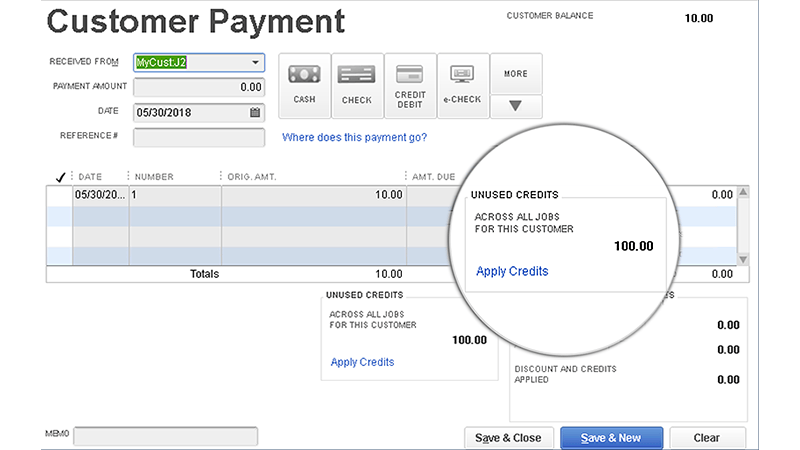 Intuit QuickBooks Enhanced Payroll requires a payroll subscription, Internet access, Federal Employer Identification Number (FEIN), supported version of Windows QuickBooks Pro, Premier, or Enterprise Solutions (all sold separately) updated to the most current maintenance release, and valid debit/credit card on file for processing payroll. Not compatible with QuickBooks Online editions or QuickBooks for Mac. Check stock sold separately. Plus sales tax where applicable. Pricing varies depending on number of employees. State forms available for most states; seewww.quickbooks.com/taxforms for complete list of supported forms. QuickBooks supports a maximum of 14,500 employees, customers, vendors and other names combined. However, performance may slow when processing files containing more than 100 employees. 24/7 access is subject to occasional downtime due to systems and servers maintenance. Terms and conditions, features, support, pricing, and service options subject to change without notice. Direct deposit to W-2 employees is free, but additional fees apply for direct deposit to 1099 vendors. File and e-pay features are available for federal and select state taxes. Please check availability at www.payroll.com/fileandpay. You may need to register with tax agencies in order to use e-file and e-pay features.